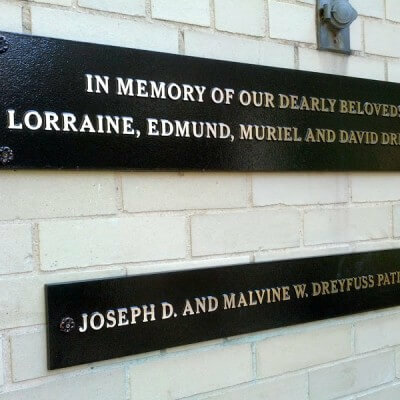 Polished Cast Bronze Plaques with a recessed leatherette background. We can design your plaque and have it installed for you in about 3 to 4 weeks. Please contact us today for a quote! 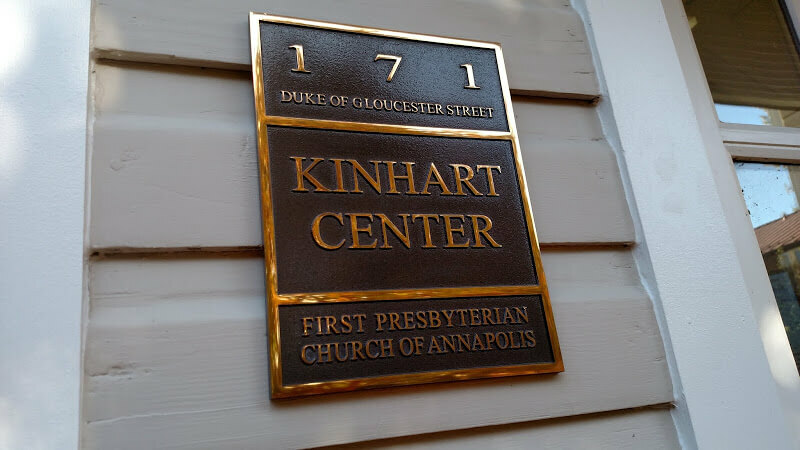 Custom Cast bronze plaques designed and manufactured for First Presbyterian Church of Annapolis, located in the historic downtown district of Annapolis, on Duke of Gloucester Street. Polished raised letters and trim with a brown leatherette background. 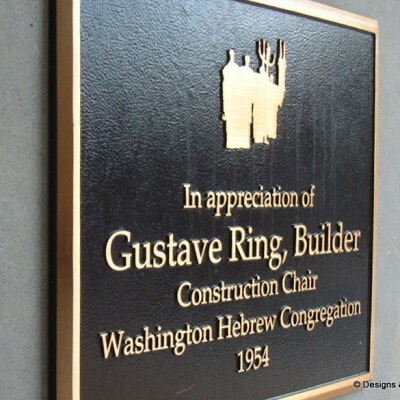 The plaques are pin-mounted to brick facades with stainless steel pins and silicone. 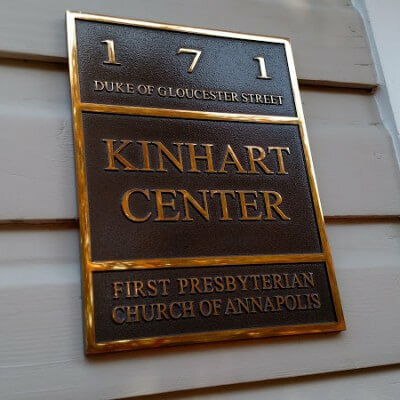 For exterior signage nothing beats cast bronze plaques for their beauty and durability even in harsh outdoor elements. They truly last a lifetime. We also offer cast aluminum plaques, which are less expensive and still last a very long time, and just like bronze, cast aluminum also looks fantastic. Please take a moment to review our website. Thank you!